Join us on November 10th for an update on the state of marine renewable energy with MREC's John Miller. 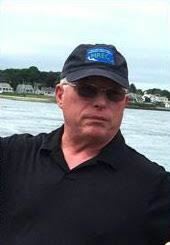 Presenter: John Miller, Executive Director of the Marine Renewable Energy Collaborative located in Marion, MA will discuss the importance of developing clean, renewable energy from the ocean waters of New England and how that will drive innovation and creation of jobs in the Commonwealth. MRECo is collaborating with local communities to develop tidal power test sites. Working with the Town of Edgartown and several universities, they are developing a tidal power test site in the waters between Martha’s Vineyard and Muskeget Island and another test site is being set up now in the Cape Cod Canal. Developers need a place to test their turbines but it is very expensive to do in open water offshore. These test sites can offer a convenient and cost-effective testing alternative. The potential for tidal power is great, but the engineering and economics have a long way to go, especially in the US. But as we have seen with other innovative ocean technologies such as autonomous vehicles, MA has a cluster of world class marine science and engineering organizations, many of which are located on the Cape, that have set the standard for global ocean innovation. MRECo is a non profit dedicated to developing ocean renewable (primarily tidal and wave, but including any marine renewable) energy. MRECo’s charter includes an educational component and it actively reaches out to stakeholders and the general public. Once a turbine is installed at the BBTS, real time data will be made available to students for use in their coursework and/or research. The New England Marine Renewable Energy Collaborative (MRECo) is a nonprofit corporation that educates and involves all stakeholders (Academic, industry, governmental/regulatory, and public interest groups) to promote the sustainable development of renewable energy in New England ocean waters. MRECo focuses on helping companies and universities get technology into the ocean… test tanks and flumes are critical to development, but we have to get “steel into the water” to understand the impacts of turbines on the environment and the environment on the technology. For more information about the MRECo please visit: www.mreconewengland.org, contact Maggie Merrill, Comms@nullMRECoNewEngland.org.